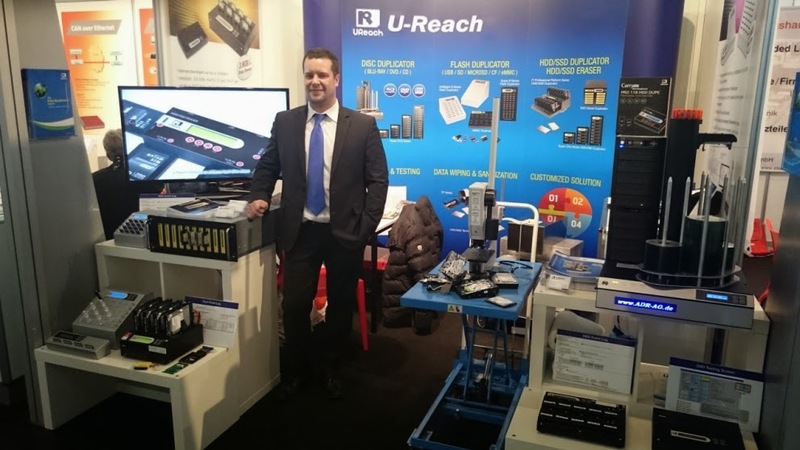 U-Reach Data Solutions Inc.: U-Reach GmbH at embedded world. We promoted our new TP400 erasing solution and the manual HDD Destroyer HDT1. The TP400 series from U-Reach gives you the possibility to erase 4 HDDs on independent ports at the same time. 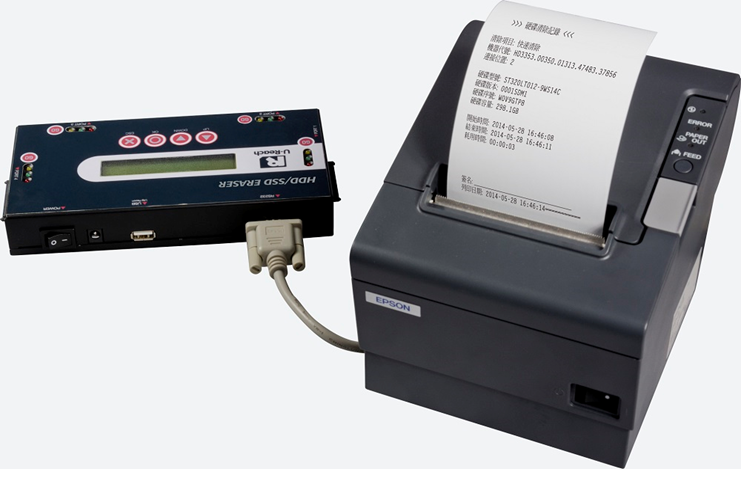 You can print out a report with a thermal printer or you can save the log on a USB stick. 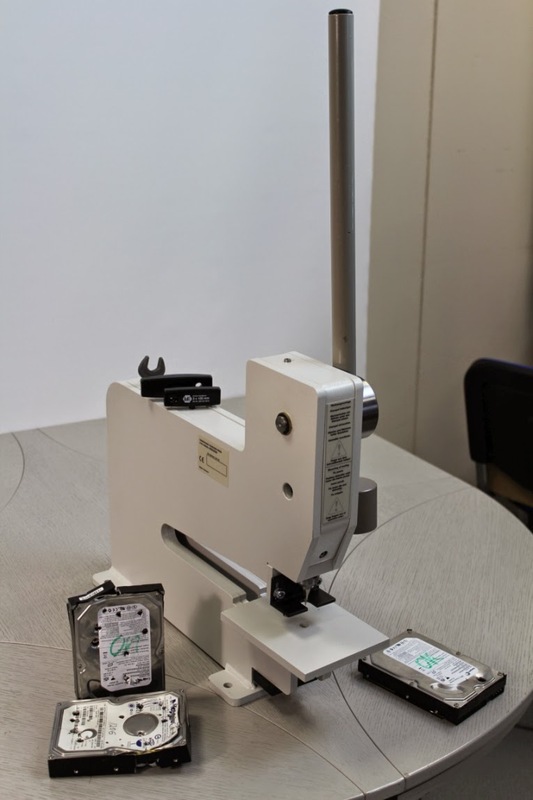 With the TP400 we now have the possibility to erase HDDs with a DOD7 standard. With our erasers you can recycle your HDDs and use them again. Alternatively you erase and destroy them with the manual HDT1 HarddiskTerminator. Punch holes into a HDD very easy and nobody will spin this HDD again. We thank all the visitors at our booth for making it a successful show !